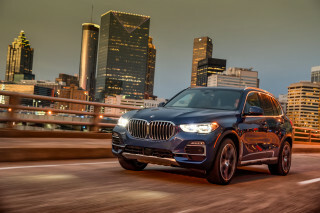 With its new eight-speed automatic transmission and weight savings, the diesel X5 xDrive35d is a great pick, doing even better than its previous 19/26 mpg EPA ratings for last year. The 2014 BMW X5 lightens up its look and its act with a warmer cabin, lots of techno handling tricks, and standout safety gear. 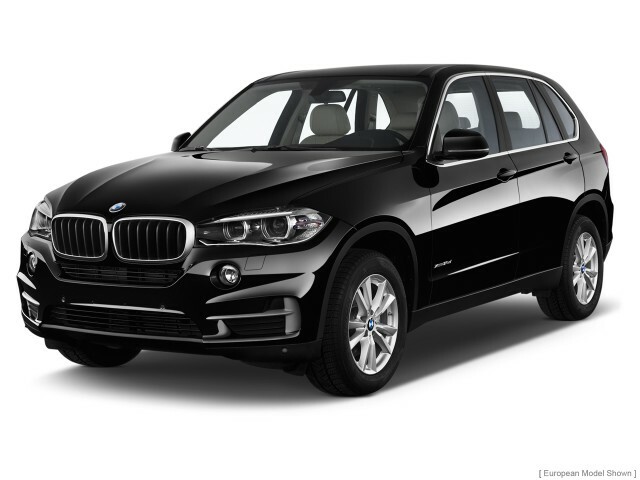 All new for this model year, the 2014 BMW X5 has evolved without losing any of its main virtues. It now offers more interesting lines, greater comfortable, a broader array of features, and better fuel economy than its predecessor. Yet it still offers moderate off-road capability, and enough innate BMW feel, even as the electronically controlled aspects of the car expand. The X5 is still one of the benchmarks in the mid-size luxury SUV class. Engineered in Germany, built in South Carolina, supplied all over the globe, the X5 remains an aesthetically pleasing off-road and on-road wagon. It's got good driving feel plus enough onboard technology and off-road capability to earn its place in gated-community garages everywhere. The X5 hasn't dramatically changed its sheetmetal, but the cabin's reworked handsomely, if not unabashedly. The new X5 is more gracefully sculpted than its ancestors, in measurable amounts but not in any dramatic fashion. There's plenty of X3 down the sides, where the tapered roofline and lower beltline nudge it gently toward a more sport-wagon-like form. 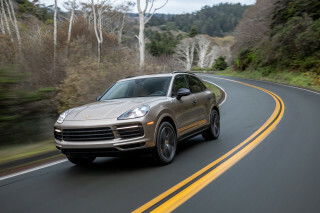 The proportions make more visual sense, though it's not a huge transformation on the order of, say, the first- and second-generation Cayenne. In the cockpit, the monolithic bulge of BMW's latest dash designs shows up in swell form, made distinctive this time with a choice of neutral and brown leathers over the standard black leatherette. It's not so broad a palette until you reach into the more extreme colors on the option list. There's even a reddish-brown. The X5 can seat up to seven, and for most of those passengers, it's a warmer ambiance to soak up. Seat comfort isn't perfect, though, with some flatness in the front buckets. The second-row seat in the X5 can now be split 40/20/40, for more flexibility, and they're adjustable for rake. If you get the optional third-row seats, there's separately a new Easy Entry function--but they're still Oompa-Loompa small, making them occasional seats at best, cargo space more often, a line-item veto most of the time. The cargo hold can be opened from the key fob or the driver's seat: the lower piece drops like a truck tailgate, while the upper glass powers open like a minivan tailgate. The new BMW X5 occupies that performance space typical of German SUVs like the Mercedes M-Class and VW Touareg and, yes we're going there, the Jeep Grand Cherokee. There's diesel power available, insanely plush spin-offs with V-8 thrust, sophisticated all-wheel-drive systems that provide moderate amounts of off-road capability, and extravagant suspension systems meant to muddle the crossover roots enough to make it more than palatable on-road. The familiar 300-horsepower, 3.0-liter, twin-turbo, in-line six-cylinder engine is the base engine, good for 0-60 mph times of about 6.2 seconds. We've yet to drive it, but have spent half days in the spiffy new xDrive35d turbodiesel and the V-8-powered xDrive50i. If 0-60 mph times rule, the V-8's 4.9 seconds bests the diesel's 6.9 seconds--but in our estimation, the diesel's fuel economy and torque in-town feel more than makes up for the two seconds of slack. All X5s now have electric power steering with adjustable effort and an Eco Pro mode that also affects the eight-speed automatic's shifts and throttle progression, even adaptive damper settings when they're onboard. The X5 feels most BMW-like only when Sport and Sport+ modes are engaged: there's a heft to the steering, a resolute resistance to body roll that only gets more defiant if it's outfitted with M Adaptive controls and a set of rear air springs. It's all but ready to transform into an X5 M, once all the electronics are plugged in--a reality that echoes how the X5 can feel from behind the wheel, what with the lack of steering feedback and the artificial counterdamping applied by the available active-roll stabilization system. No crash-test data has been published, but the X5 should equal its prior safety ratings. Active-safety features are heavily represented on the long, long options list. New features include the Active Driving Assistant (Lane Departure Warning, and a pedestrian collision system with braking), plus ACC Stop & Go (full-range camera-radar cruise control), and a new Traffic Jam Assistant that maintains following distance and keeps the vehicle at the center of its lane by providing steering input. BMW Night Vision and a head-up display remain on offer, as well as a Parking Assistant, Surround View system, and Active Blind Spot Detection. The BMW X5 carries a base price of nearly $53,000, in line with other European-badged luxury SUVs. At the price, it's still without a few features we think should be standard--and are standard on some mass-market utes. A rearview camera is a $400 option; any color other than flat white or flat black brings a $550 upcharge; and leather upholstery costs $1,400 at minimum. Navigation is standard equipment on most versions; it comes with the iDrive controller with its new touch-write surface, and BMW Apps, a connectivity suite that runs via an iPhone app. (Android users: give it a few months.) If you want all-wheel drive, you'll need to step up into the X5 xDrive35i, which is priced from just over $56,000. In the $70,000 and up range, the X5 V-8 can be trimmed out with Dakota leather, Bang & Olufsen audio, a rear-seat entertainment system, and more. Our pick? Probably the winning turbodiesel five-seat model, lightly equipped with surround-view cameras and navigation, for the best long-term value of the lineup. The X5 hasn't dramatically changed its sheetmetal, but the cabin's reworked handsomely. The new X5 is more gracefully sculpted than its ancestors, in measurable amounts but not in any dramatic fashion. The influences of the latest X3 show up plainly in its sideview, just as those from BMW's latest sedans appear in its front end. The combination of tapered roofline and somewhat lowered beltline give the X5 a bit more of a sport-wagon look than before--the proportions make more visual sense, though it's not a huge transformation on the order of, say, the first- and second-generation Cayenne. Down its sides, the X5's sculpturing does what the stampings on a Mustang or an S-Class do, scouring some visual weight off its flanks without disturbing the natural order of all car styling--at least, of our modern vintage. The scoop-outs are functional, though, directing air around the wheels. The character line that pulls up from the front fenders toward the LED taillights injects some wedge into the shape, a welcome change from the first X5 and its insistence on regular form and outline. It's an attempt to blur the SUV reality further off the X5's face, but the complex intersection of lines across its nose comes off as overwrought. The front kidney grille is &#226;&#8364;&#339;thrust forward,&#226;&#8364;&#65533; as BMW puts it, while it's supplemented with a smirk of a horizontal intake just below, and a larger intake down below. The X5's headlights are set high up, and better-detailed than ever--and can be swapped out entirely for all-LED units. The X5's basic look upconverts when drivers select one of three packages: Luxury and its bright flourishes, xLine and its blackout trim, and M Sport with its big wheels and grey trim. Inside, the design will be instantly familiar to anyone who's been in other late-model BMWs. Only here the horizontal-shelf layout, with a cockpit-style instrument zone, is wrapped over (and just behind) by a separate layer that merges in with the rest of the dash. BMW now offers upgraded interior themes from the usual black synthetic leather. White leather pairs with oak trim, or mocha and black leather pair with a medium-tone wood. The xDrive50i gets standard Dakota leather, which is offered as an option on other models. The X5 corners impressively and accelerates swiftly; the turbodiesel is still our pick of the line. The new BMW X5 occupies that performance space typical of German SUVs like the Mercedes M-Class and VW Touareg and Jeep Grand Cherokee. There's diesel power available, insanely plush spin-offs with V-8 thrust, sophisticated all-wheel-drive systems that provide moderate amounts of off-road capability, and extravagant suspension systems meant to muddle the crossover roots enough to make it more than palatable on-road. At times, the diesel X5 seems built to be all the SUV you'll ever need--while at other times, it's palpably straining to be the X5 M it's been built to be from Day 1. At the bottom of the new X5 lineup sits the 300-hp, twin-turbo inline-6. With 300 lb-ft of torque, it's zippy and drama-free, with peak torque arriving at a low 1,200 rpm and lingering up to 5,000 rpm before it tails off. With rear- or all-wheel drive, it's capable of 06-0 mph runs as quick as 6.2 seconds. 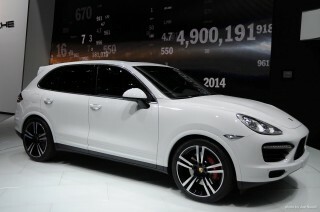 Also twin-turbocharged with 3.0 liters of displacement is a new diesel with 255 hp and 413 lb-ft of torque. It's good for 60 mph in 6.9 seconds--not much slower than the gas engine. It slips through gaps in traffic easily with all that torque, and settles into a comfortable highway lope while turning in fuel economy a few miles per gallon higher than that of the turbo gas six. The expensive and thrusty X5 xDrive50i runs with a twin-turbo 4.4-liter V-8 that spins 445 hp and 480 lb-ft of torque from 2,000 rpm and up. BMW puts its 0-60 mph times at 4.9 seconds, but extensive sound damping and the muting effect of all-wheel drive at launch zaps some of the visceral feel from this powerful engine. All X5 SUVs sport an 8-speed automatic with shift paddles, and some can be fitted with adaptive dampers. Those systems and the X5's electronic power steering can coordinate through a set of driver-selectable modes, from an eco program that upshifts quickly and cuts power steering assist, to a Sport+ mode that tightens down the dampers, adds weight to the steering, and triggers quick downshifts. The X5 feels at home in sport mode; we'd let it slide into Comfort on long highway trips, and reserve eco mode for times when the fuel tank is showing under a quarter tank. Eco triggers lots of upshifting, cuts climate control use, even picks navigation routes for the most efficient path. It's mostly thoughtful, partly a buzzkill. With all the adaptive driver inputs, the X5 can feel like many different vehicles, from a cushy player to a stiff-kneed sprinter. What's most surprising is how well it translates the quintessential BMW feel into a tall, heavy package. If there's one glaring fault, it's the numb electric steering, which doesn't unwind as neatly as it builds up cornering effort. 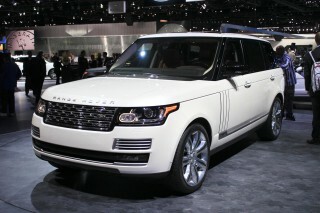 A variable-ratio system that's an option masks some of the big-SUV clumsiness and actually imparts a bit more feedback. With adaptive dampers and available rear air springs, the X5 corners with a resolute flat feel. It's forgiving until the biggest wheels and tires are paired with the Sport+ damping mode and active roll stabilization, which pushes back against natural suspension compression in deep corners. That compression is vital driving information that's simply filtered off. An Adaptive M suspension and a torque-vectoring rear differential deliver even finer control over the power and handling, but they seem better suited for X5 M editions than for the lower-aspiration models. Warmer interior shapes and finishes give the X5 a finer ambiance, but seat comfort isn't perfect. Interior space hasn't made big gains, but the BMW X5 can handle 7 passengers. In our experience, 5 will be comfortable. BMW fits power seats to base models, but the seats themselves could offer more support. The seat bottoms feel a bit flat, but they do have ample adjustment and an option for ventilation. They're also covered in synthetic leather; you'll have to pay for the real stuff. A wide, split-lid console separates the front seats. In the second row, BMW splits the seatbacks into three sections for a variety of human and cargo configurations. Some versions can slide on a 3.1-inch track. Five adults might fit, but four can certainly find a comfortable arrangement, especially when the seatbacks are reclined and the middle seat section is folded down and used as an armrest. The X5 offers 23 cubic feet of room behind the second row. That space can be filled by a third-row seat, but it's a dinky one suitable only for small kids. It does split and fold in sections, so it's more useful than a third-row bench, but we think most drivers would be better suited in a real minivan at that point. Behind the second row, the X5 has 66 cubic feet of cargo space, accessible from a power tailgate that flips up its glass and folds down its lower section. THe X5's newfound sense of style applies to its color and trim. Base versions are plain but not grim, with black synthetic leather and simple dash trim. Colorful additions tint the cabin in mocha or white, and BMW lavishes on expensive leather and aluminum in the most expensive models. No crash-test data has been published, but the X5 should equal its prior safety ratings. Because the X5 is new, the NHTSA and the IIHS haven't had the chance to crash-test it fully yet, though the IIHS gives it "good" ratings for front- and side-impact protection. Given the model's good history for safety, we've given it ahigher tentative score in anticipation of those ratings. We'll update this page once more information is published. All X5 SUVs have a standard Bluetooth interface but we're still puzzled why the base $50,000 SUV makes a rearview camera a $400 option. Outward vision is very good in the X5, assisted by parking sensors at the front and the back. For the money, the available surround-view cameras make parking a snap, and the camera view can be toggled to cycle through front and top views. BMW also sells a package of safety tech that includes forward-collision warnings, adaptive cruise control, blind-spot monitors, and lane-departure warnings. BMW's Parking Assistant takes the wheel when it's ordered; it can steer the vehicle into parallel spots or perpendicular ones, at the touch of a button. The same underlying technology couples with adaptive cruise control to bring you Traffic Jam Assistant, which maintains following distance all on its own in heavy traffic, and keeps the vehicle at the center of its lane by providing steering input. 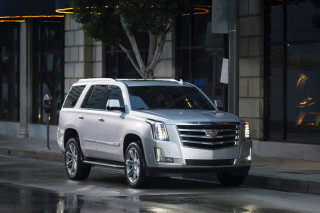 Base models are equipped modestly for the luxury-car base price; it's easy to spend upwards of $70,000. 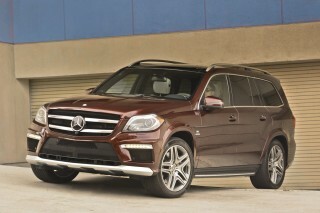 The BMW X5 carries a base price of nearly $53,000, in line with other European-badged luxury SUVs. At the price, it's still without a few features we think should be standard--and are standard on some mass-market utes. 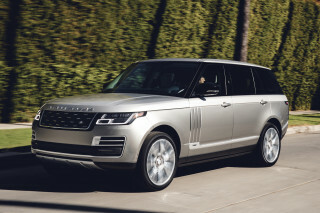 Stand-alone options include active steering (except on sDrive); the active air suspension; a Nappa-leather dashboard; four-zone climate control; adaptive cruise control with full-stop and following capability (see the safety section for more); parking assist; a Harman Kardon audio system ($875) or a Bang & Olufsen setup ($4,500); night vision; and a rear-seat entertainment system. Nineteen-inch wheels with all-season tires and 20-inch wheels with summer tires are optional on all those models. Buyers have a choice of two premium-audio systems--Harman Kardon or Bang & Olufsen, the latter of which has 1,200 watts of power and 16 speakers. There's also a rear-seat DVD entertainment system with twin screens roughly the size of an iPad Mini, attached to the headrests of the front seats. Those systems always beg the question for us: why not just invest in a pair of mobile tablets and an indestructible case? BMW's well-sorted turbodiesel hasn't been EPA-rated, but we're predicting very strong numbers to go with an overall bump in fuel economy. The X5's fuel economy climbs significantly with this new generation, thanks to more efficient engines, an eight-speed automatic transmission, and stop/start. We're still waiting to find out the turbodiesel's ratings, though. This year, the X5 xDrive35i steps up its game from 16 mpg city, 23 mpg highway to18/27 mpg, or 21 mpg combined. It's a 2-mpg improvement on the combined side, and 4 mpg on the highway cycle--a substantial jump that gets even better if you order the rear-drive model. It's rated at 19/27 mpg, or 22 mpg combined. The V-8-powered xDrive50i model doesn't move forward as briskly in gas mileage. It's rated at 14 mpg city and 22 mpg highway for 17 mpg combined--up slightly, and somewhat better than many of the V-8 SUV alternatives. The xDrive35d diesel model has returned, and the EPA rates it at 23/31 mpg, or 26 mpg combined. The outgoing model was rated at 19 mpg city and 26 mpg highway for 22 mpg combined. It's a significant improvement in a well-executed package. 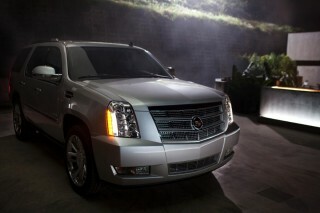 Excellent Comfortable SUV with Performance!